Step 1 Muddle the cucumber, chervil leaves and lime juice together in a mortar. Step 2 Pour the mixture into a glass measuring cup or small pitcher and add the gin and vermouth. Allow to infuse for 5 minutes. Step 3Add the ice cubes and stir until the drink is chilled. Strain into a chilled cocktail glass, pressing to extract any juices. Step 4Garnish with a sprig of chervil and a peeled cucumber strip on a bamboo skewer. In Recipes-list.com we have selected the most viewed recipes from category - Drinks . Enjoy the best recipes specially selected for you! 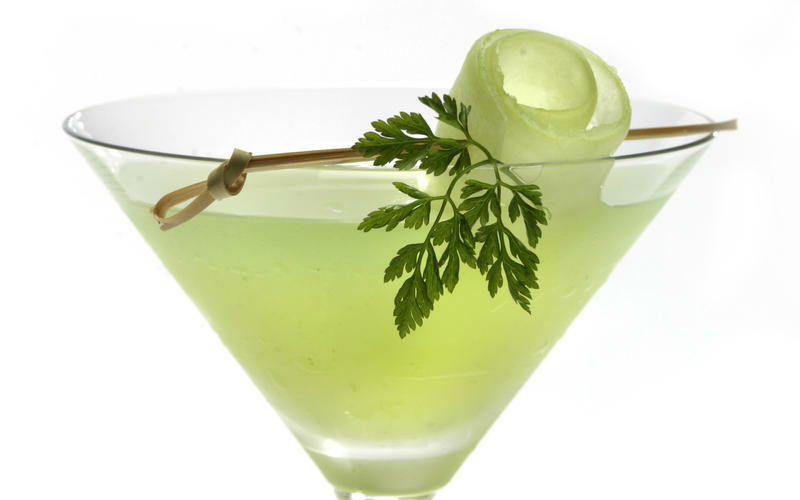 Cool Cucumber Martini is the right choice that will satisfy all your claims.